For a lot of people, expressing emotion doesn’t come easily. Crying, in particular, is a real challenge. Even though you’re well aware of the need to cry, and desperate for the emotional release of a good sob, the tears just won’t come. It’s a surprisingly frustrating experience, particularly in times of intense stress or sadness. Tears are a natural response to that kind of stress and pain. Far from being a sign of weakness, they’re more like a pressure release valve for your emotions. Sure, there are some people who maybe rely on crying a bit much when it comes to getting attention, but isn’t that preferable to not being able to experience the relief that comes after a good cry? 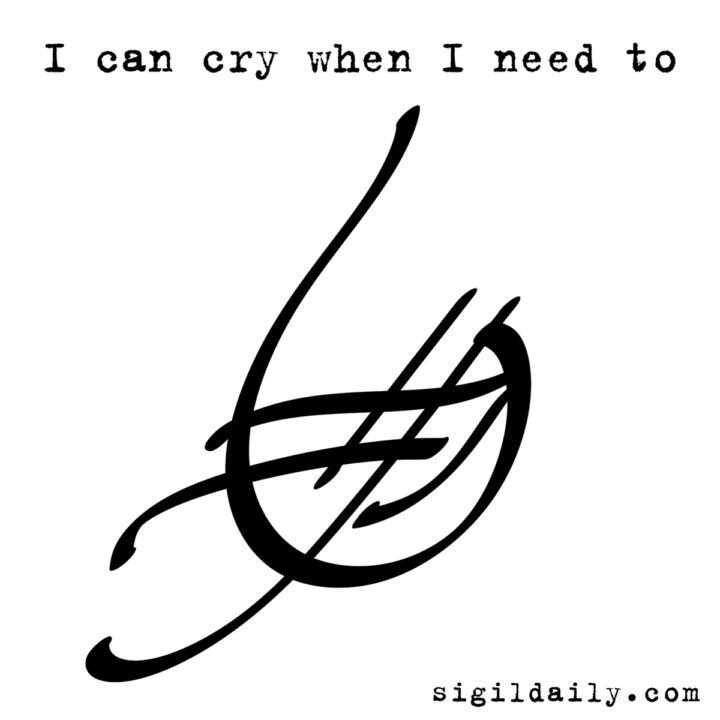 This sigil aims to make it a little easier to start the waterworks.